Elizabeth Warren may have Cherokee heritage. Documents emerged Thursday that showed a conflicting picture of how Elizabeth Warren’s ethnicity has been defined throughout her years as a student and prominent academic. Several newly unearthed student and personnel records from the schools at which she taught or attended show that Warren either listed herself as white, or did not mention ethnicity at all. But the University of Pennsylvania, where Warren intermittently taught law school from 1987 through 1995, touted Warren as a minority faculty member in an official school publication, according to an online document obtained by The Boston Globe. The school listed her as a minority in a “Minority Equity Report’’ posted on its website. The report, published in 2005, well after her departure, included her as the winner of a faculty teaching award in 1994. Her name was highlighted in bold, the designation used for minorities in the report. Neither the Warren campaign nor the University of Pennsylvania would explain why she was listed as a minority. For more than a week, questions have swirled about whether Warren has Native American heritage and if she used minority status to advance her career. The controversy started after it emerged that Harvard had billed her as a Native American faculty member and that Warren had listed herself as a minority for nearly a decade in a commonly used legal directory. 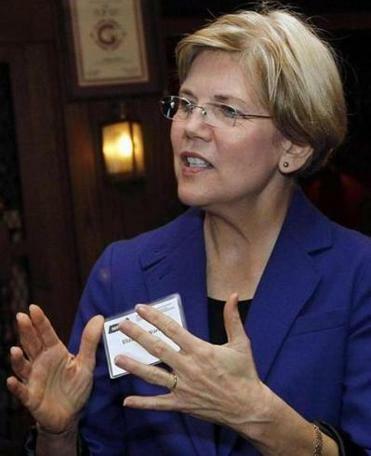 Warren, a Democratic candidate for US Senate, is challenging Senator Scott Brown, a Republican. The Brown campaign has questioned her credibility and whether she represented herself as a minority to get her job at Harvard. Warren has said she has long believed she has Native American ancestry, based on family lore, but has not documented the connection and is not enrolled in a tribe. One genealogist at the New England Historic Genealogical Society found some evidence that Warren is 1/32 Cherokee. Faculty and deans from each of the law schools where she has taught have said her ancestry was not a factor in her hiring. A portion of her transcript from George Washington University, where she began her undergraduate education on a debate scholarship, did not include a minority status, nor did an application to the University of Houston, which she attended after a transfer, according to records obtained by the Globe. In addition, a newly unearthed University of Texas personnel document shows that Warren listed herself as “white’’ when she taught at the law school there on and off from 1981 to 1991. The undated document, obtained by the Globe through a public records request, supports Warren’s statement that she did not present herself as a Native American when hired for that job. But it leaves open the question of why she later listed herself as a minority in a legal directory often consulted by hiring deans. Warren’s employment document at the University of Texas allowed her to check multiple boxes specifying “the racial category or categories with which you most closely identify.’’ The options included “American Indian or Alaskan Native,’’ but she chose only white. The form was probably not filled out by Warren until soon after she was hired, according to Annela M. Lopez, senior administrative associate in the office of the vice president and chief financial officer. Lopez said professors typically do not fill out standard job applications and instead rely on curriculum vitae when applying for jobs. Once hired, professors and other employees are required to fill out a larger biographical form, including the minority identification question. But the reference to Warren’s minority status in the University of Pennsylvania publication offers another piece of evidence that she was identified as a Native American at later points in her professional career. “Republican Scott Brown continues to feed an ugly story with nasty insinuations simply to distract’’ from the issues, Harney said. Since the controversy erupted in late April, Warren has said she was unaware that Harvard University, her current employer, had described her as a Native American when it was under fire for a lack of diversity on its law school faculty in the 1990s. Neither the University of Pennsylvania, nor Harvard, where she has taught since 1995, has released employment records for Warren. Brown has challenged Warren to ask the schools to make those documents available. She has declined. Leonard P. Strickman, founding dean at Florida International University, one of the nation’s most diverse law schools, said deans often consult the Association of American Law Schools directory when seeking out minority applicants but look more at scholarship before making hires.